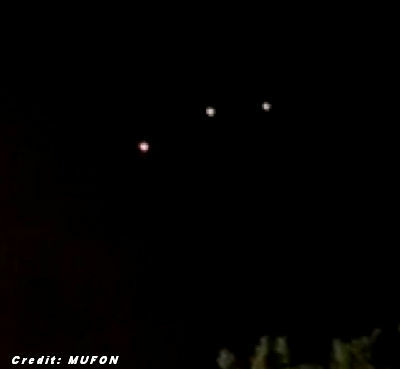 SAN ANTONIO, Texas (KTRK) -- A woman wants answers after recording some strange lights over San Antonio. New video into the ABC13 newsroom shows three lights forming a triangle in the sky. The woman who filmed the UFO said she and her fiancé were outside around 9:15 p.m. on April 11, when they saw the slow-moving lights. Bob Kiviat, who has help make television shows on aliens and the paranormal, has filed a lawsuit in California against CIA scientist Ron Pandolfi and his former employers InterNASA. He claims that Pandolfi ran the agency’s X-Files-style “Weird Desk” dealing with extra-terrestrial visitors. 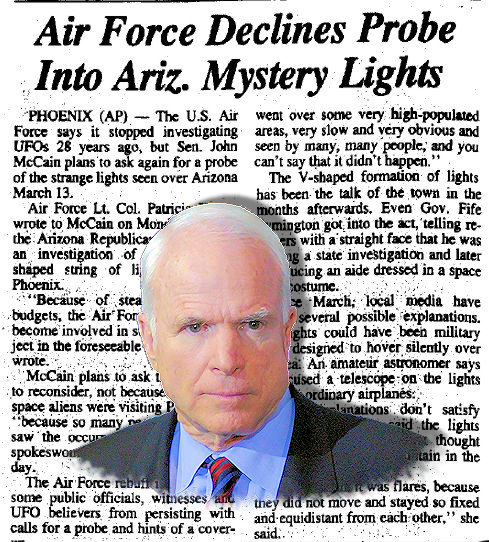 Reid said McCain, R-Ariz., had always been interested in the Advanced Aerospace Threat Identification Program and its research into UFO sightings, and told Nevada's KLAS-TV that that was why McCain requested information for the Senate Armed Services Committee. Base in Dayton, Ohio. At least this is the story which has been circulating the past 26 years, and has recently been revived. 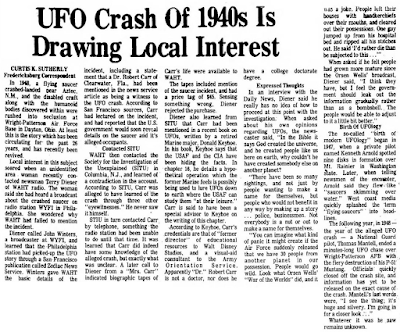 "Aztec Is Known For Its Alleged UFO Crash Site"
Over the past 46 years I’ve spent countless hours investigating UFO incursions at nuclear weapons sites, as revealed in hundreds of declassified U.S. government documents and the testimony of more than 160 U.S. military veterans whom I’ve interviewed. Some of those individuals, including a few retired colonels, say that UFOs have actually tampered with American nuclear missiles, known as ICBMs, rendering them temporarily inoperable. sites or nukes storage facilities. The full-length video of that event is available online. 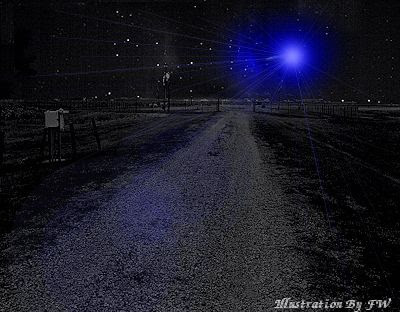 While the great majority of the veterans with whom I’ve spoken have described simple sightings of anomalous aerial objects, a few have reported having what seem to be abduction-like encounters involving non-human entities. 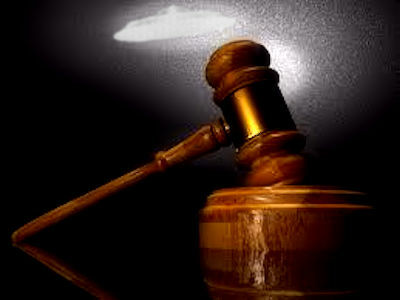 The most dramatic case involves a former U.S. Air Force Security Policeman, Mario Woods, who has summarized his experience at Ellsworth AFB, South Dakota, in November 1977. According to the report, three beings debarked from the smaller ship and approached to within 12 yards of him. He said he froze, a doubled-edged axe in his hand. The beings were from 35 to 37 inches tall, in his estimation. They were shaped very much like humans, except that one had very long fingers. In addition, the witness remarked about the beings' eyes. "They seemed to look through you", he said. He said they uttered sounds which were unintelligible to him, then turned around and walked back to the craft from which they had emerged. A door opened, according to the report, and the three entered. The door closed and the opening "seemed to mold itself to the ship" – there was no evidence of a door after it had closed. investigated the health effects of close encounters with UFOs. 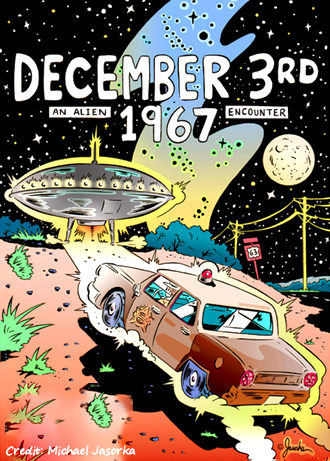 Schirmer’s gripping story of an alleged alien encounter would ignite a firestorm of news coverage. 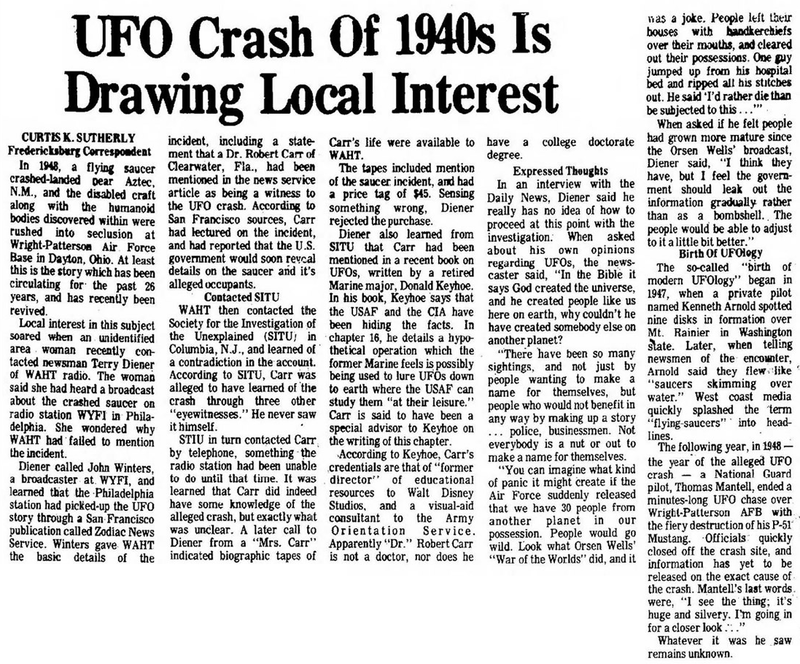 Schirmer would become a legend among UFO enthusiasts, and his tale of the spacecraft and its inhabitants would become ingrained in American folklore for decades. Last week, Broken Bow’s Kinkaider Brewing Co. released a new beer inspired by Schirmer’s story. vehicles (AAV). These AAVs were deemed a safety hazard to an upcoming air exercise and the Captain of the USS Princeton ordered an interception with two F/A-18F Navy jets. 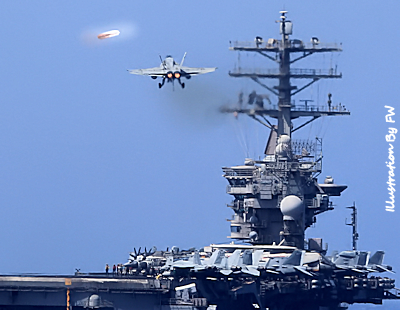 This paper examines the publicly available subset of these data: Eyewitness information from the pilots and radar operators; Freedom of Information Act releases of four navy documents; and a Defense Intelligence Agency released video taken by an F/A-18F jet using an AN/ASQ-228 Advanced Targeting Forward Looking Infrared (ATFLIR). The release of all navy records associated with this incident to enable a full, scientific and open investigation is strongly recommended.